Ranjona Banerji: So is Samar Halarnkar unfairly accused of plagiarism? And once more, the gloomy spectre of plagiarism raises its head. We’ve hardly had time to catch our breath after the Fareed Zakaria and Simon Denyer incidents. 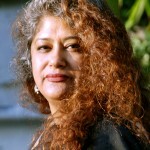 This time, Samar Halarnkar, former Hindustan Times’s national editor and currently editor-at-large and columnist with the same newspaper, has been accused by blogger Akhilesh Mishra of lifting large portions of a column which was published in April 2012 from an article by Frances Moore Lappe for Yes Magazine in February 2009. Lappe is an expert on hunger and poverty and wrote about a successful experiment in Brazil. Halarnkar also wrote about the Brazil experiment in the context of what India could learn from it. However, the matter is not as simple as all that. It is possible that the blogger was out to get Halarnkarr and went through a lot of trouble to present both articles in detail (if only some journalists would work that hard!). The internet is full of resentment and spite, after all. And the blogger appears to be right wing while Harlankar is of the other persuasion. If there’s anyone who doesn’t know, there’s a war going on out there on the Internet between right wing and left of centre Indians and the battleground is full of bitterness and abuse. Halarnkar has mentioned this in his response to newslaundry.com. But whatever the blogger’s intentions, there are undoubtedly several similarities between Halarnkar’s and Lappe’s articles. Not all can be explained by a reference to a book when the overlap is with a column. It seems, on the face of it, that Halarnkar would have helped himself and his reputation by crediting Lappe more specifically. However, there is also nothing to suggest either that Halarnkar’s intent was to steal from Lappe. He has mentioned her book, which at least shows that he is aware of her efforts and says he admires her. He may not have been aware that some of the references he used had in fact originated from Lappe. And once again, we have a dilemma. A writer may research a number of sources and publications. Is it possible in a tight word limit to credit them all? Suppose you just pick up facts but draw your own conclusions? The fact that India became independent on August 15, 1947 can after all be picked up from a book but it is still a fact that is not bound by intellectual property. If Zakaria and Denyer can be accused of laziness, then Halarnkar’s mistake – and I think it is clear that he has made one – is in not making a better disclosure of his sources and in not giving a more complete credit to his primary source. At the end, it seems that journalists have to be more careful about the sources they use and quote and the manner in which they credit them. A small gesture might go a long way in saving a reputation built over years or even set a foundation for a less troublesome career in the future. Ranjona Banerji: When the minister took to the edit page of The Times of India… and how! Ranjona Banerji: So is NamoTV a news or an advertising channel? I for one feel that the writer intentionally did not wish to cite the correct source so as to create an impression of originality, and to be on the safe side, cited a less relevant source by the same author. He probably would never have thought somebody would detect it. If you are writing a book, including material from others’ articles here and there with proper citations is okay, but if you are writing a column, and a significant portion of the column contains material from some other writer’s column which is not cited, then this becomes morally wrong even though the original writer may not challenge it.